Arsenal legend Thierry Henry is reportedly among the contenders to replace Claude Puel as Leicester City manager, according to shock reports. The Daily Mirror has reported on links with Leicester and either Henry or Belgium manager Roberto Martinez as Puel already looks under pressure at the King Power Stadium, with suggestion that he has just two games to save his job. The Frenchman started well at Leicester last season, though his team seemed to fade a bit towards the end of the campaign. 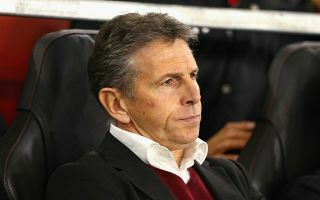 Puel’s side then started with a defeat this term as the Foxes were beaten 2-1 by Manchester United on the opening day of the season on Friday. Ridiculously, it seems this has put him under pressure already as Henry or Martinez could come in, according to the Mirror, as tweeted below by Bleacher Report’s Dean Jones. The Frenchman is one of the finest players ever to play in the Premier League and it would be fitting if he could also prove a big hit as a manager on these shores. The Mirror adds that the Leicester job would appeal to Henry.